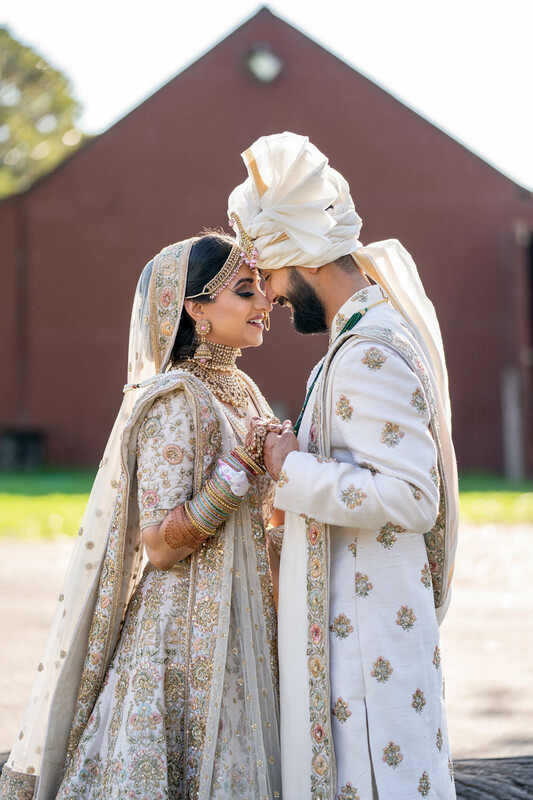 Indian weddings are truly a magnificent celebration, bursting with colour and vibrant, traditional details and it is such a pleasure when we are given the opportunity to share our beautiful couple’s weddings with you every week. 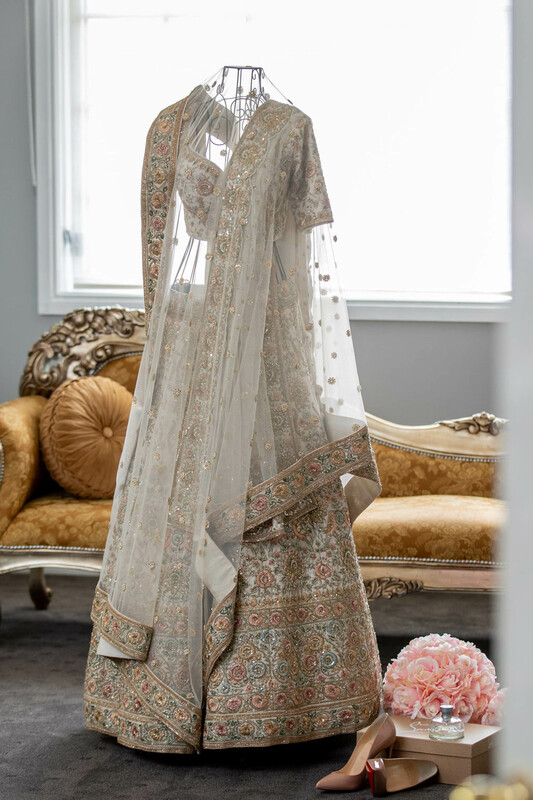 If you’re a bride to be, you are in for a treat. 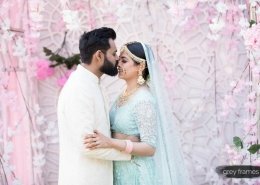 Rachna and Avin’s Spring wedding has been trending on Instagram for several months now. 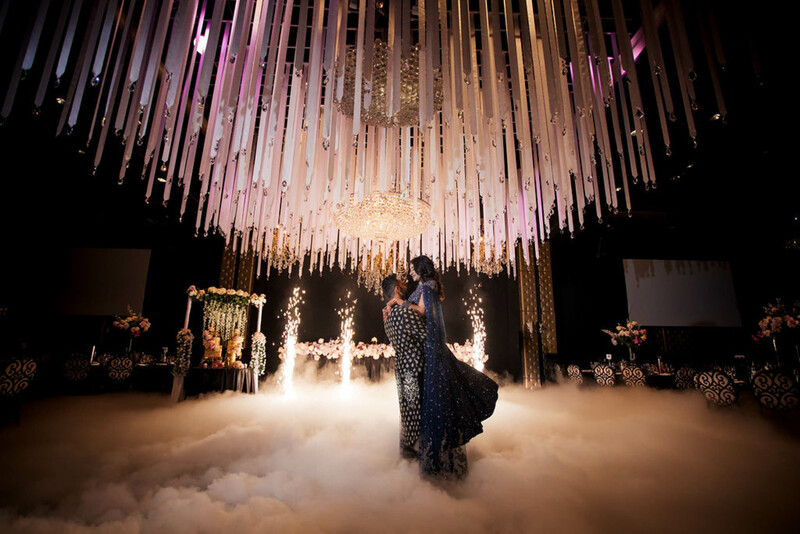 Wedding decorator, Venita of VIP Decorating even mentioned that brides are dying to recreate something similar for their own special day. 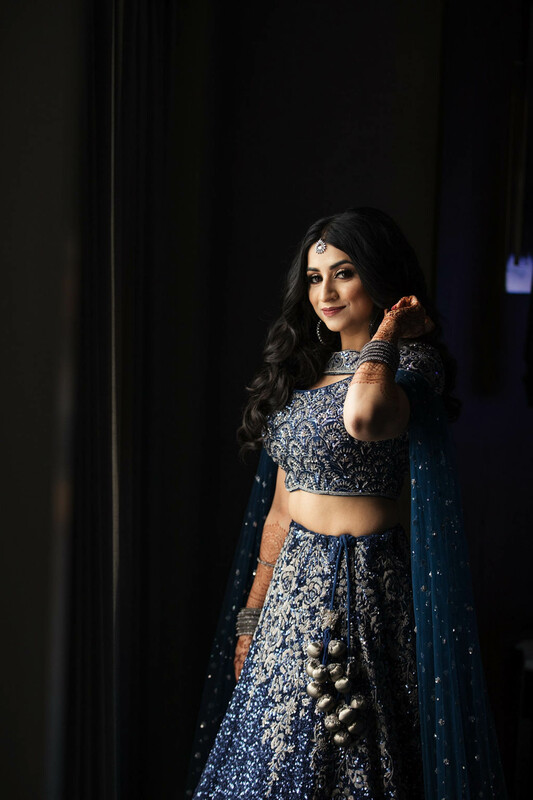 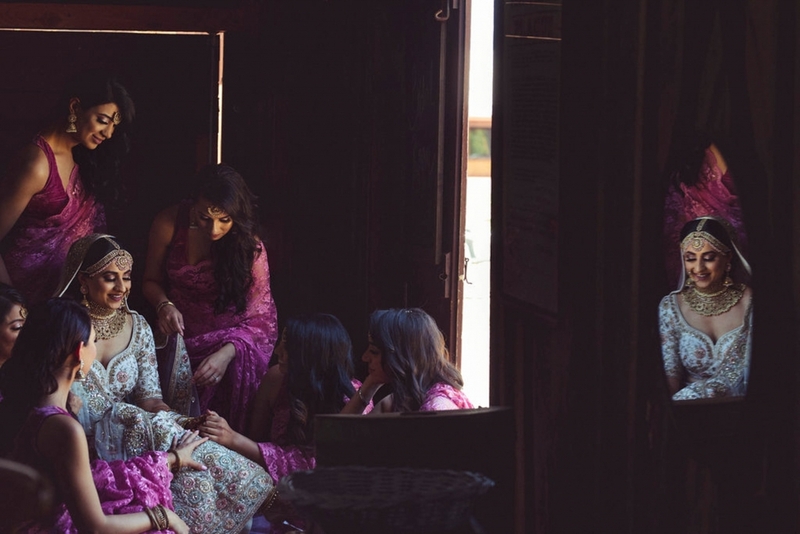 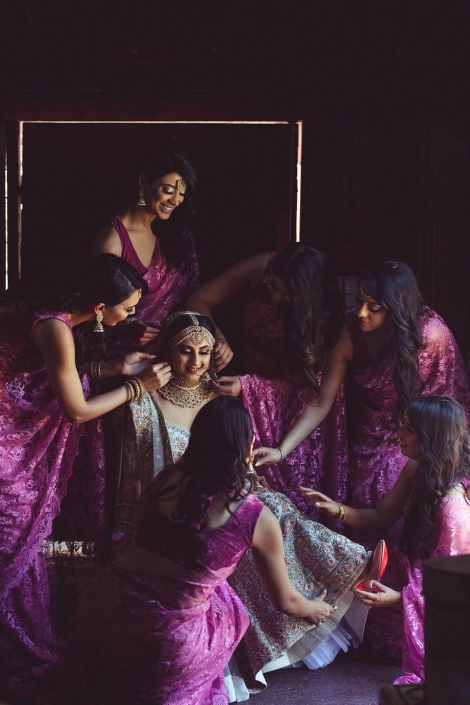 I couldn’t help but contact Rachna directly and she was so lovely and more than happy to share all the details from her glittering Spring wedding celebration. 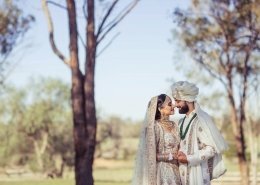 Rachna and Avin met almost 10 years ago in Sydney through mutual friends and in true romantic style, the proposal took place in the city of love, Paris. 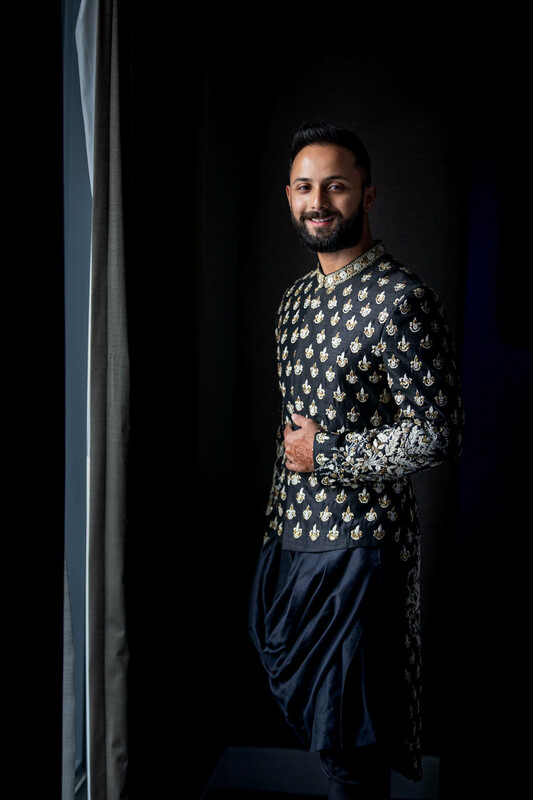 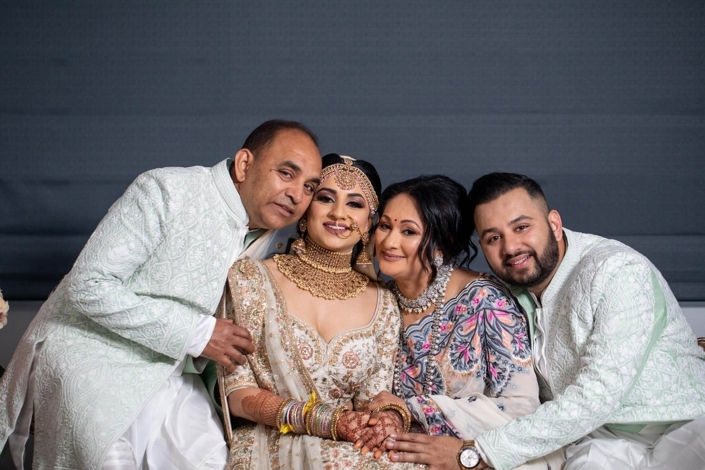 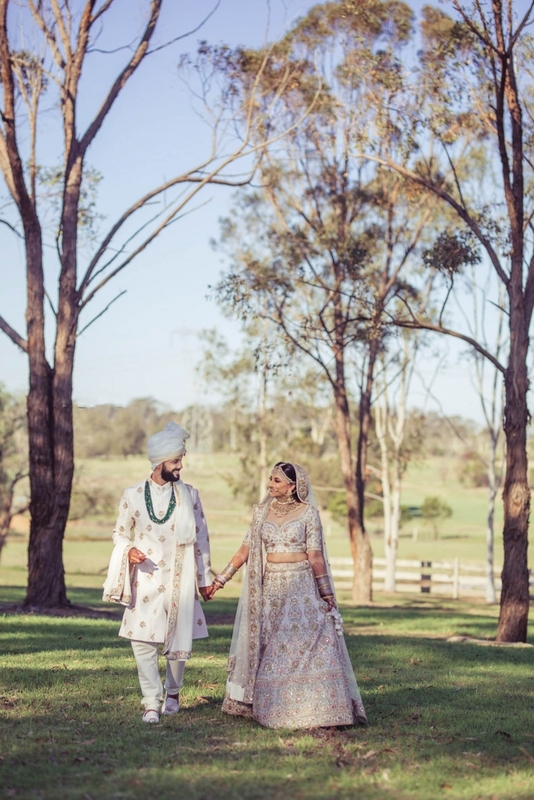 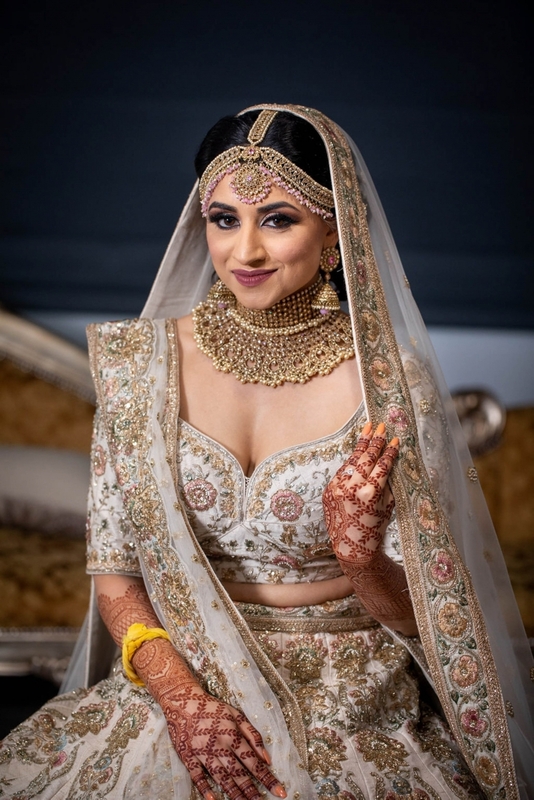 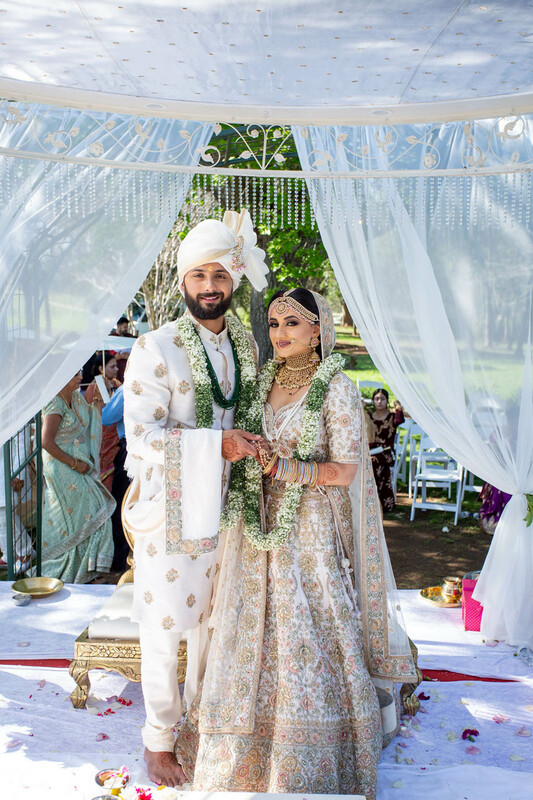 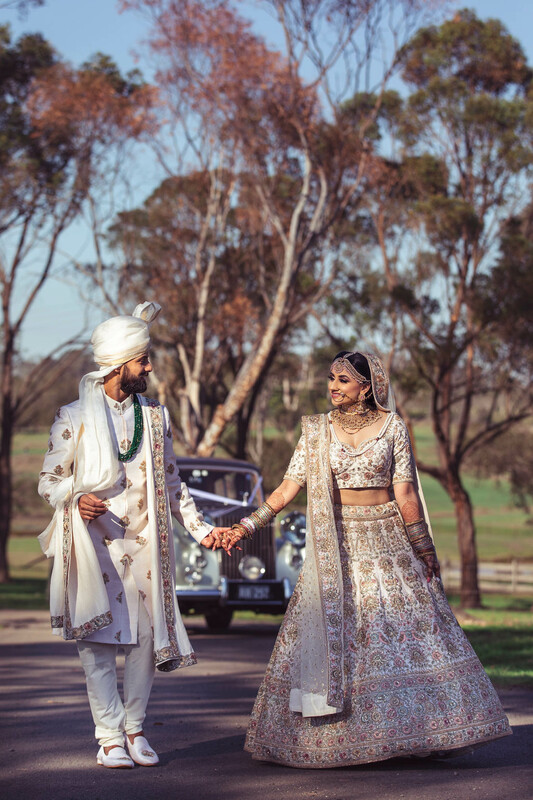 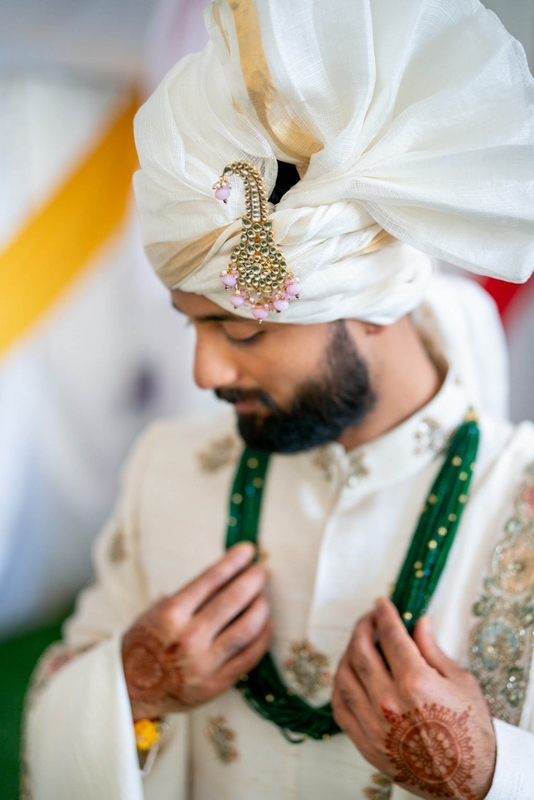 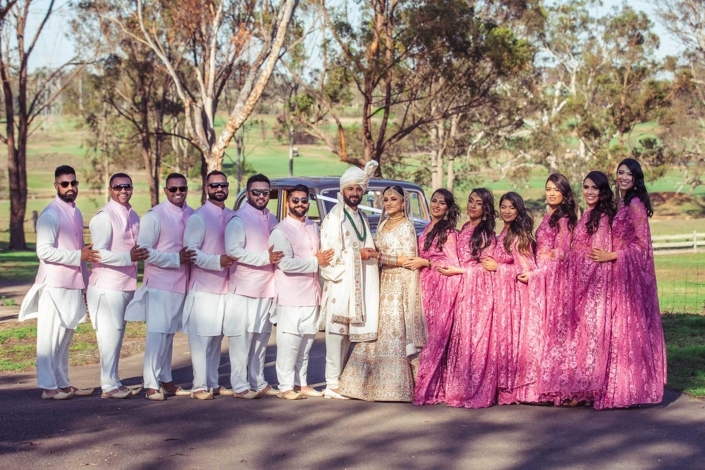 Rachna married Avin in October 2018 at the quaint little homestead and winery in regional New South Wales. 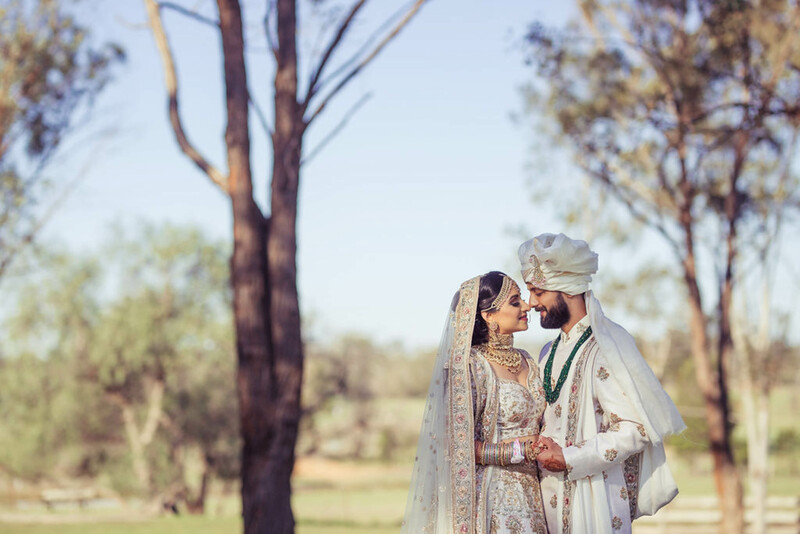 The rustic charm and beautiful natural surroundings of the venue is what first attracted Rachna to Gledswood Homestead and it was so fitting to host her magical outdoor Spring wedding celebration. 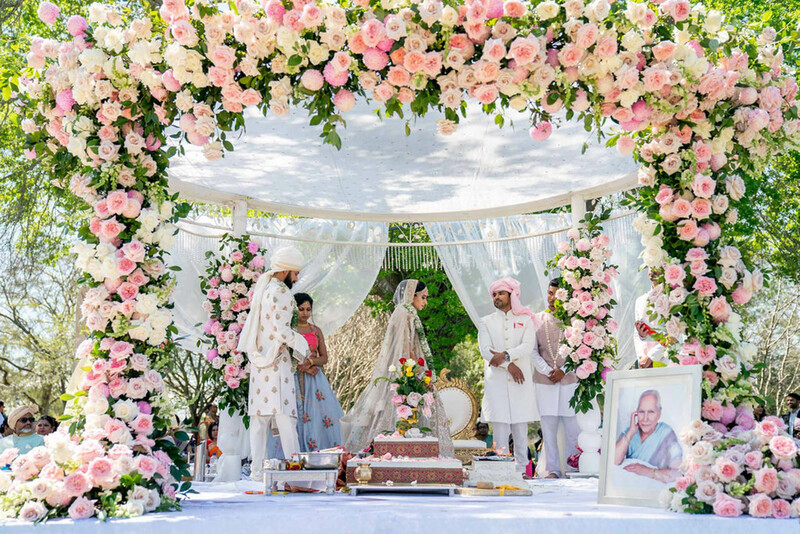 The wedding day boasted of a traditional mandap adorned with luscious roses in blush pink and white shades supplied by none other than maestro florist, John Emmanuel. 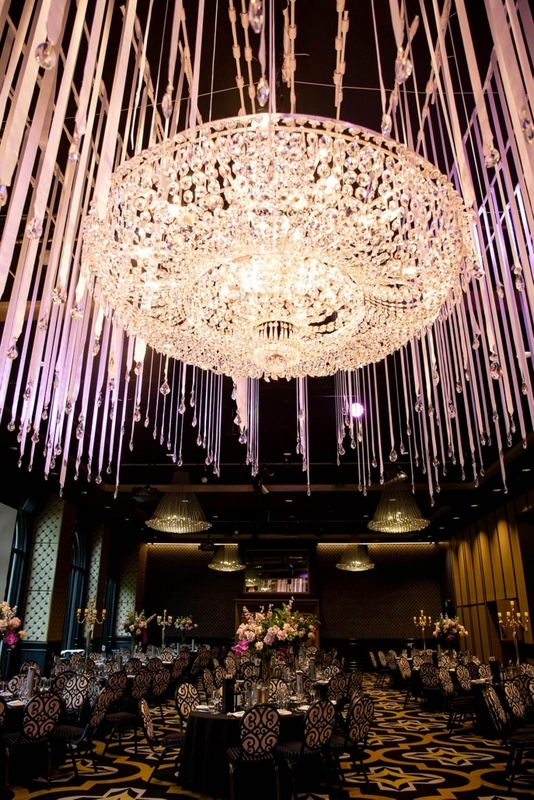 Those spectacular flowers also flowed on to the wedding reception, which was an elegant affair in the heart of Sydney’s central business district. Doltone House at Hyde Park provided the perfect backdrop for the mega party that followed. 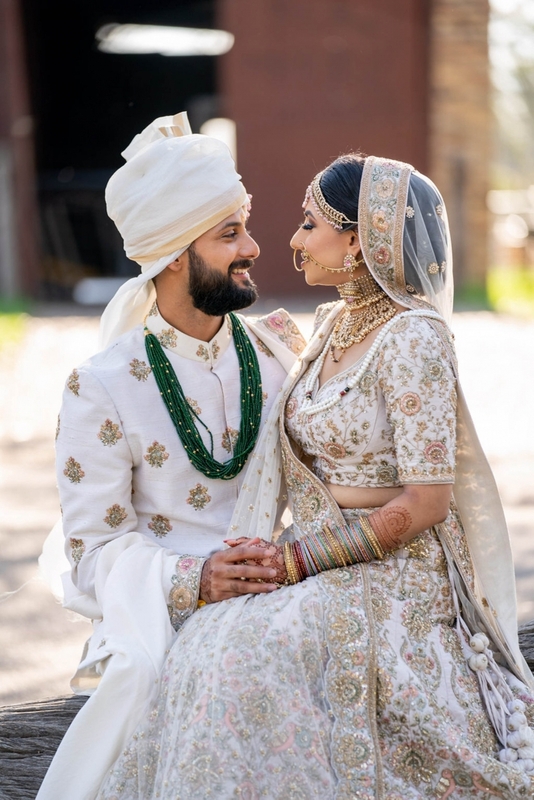 Rachna and Avin’s entire wedding was a celebration and while Rachna does admit that she was somewhat of a “bridezilla” she was fortunate to have had such an incredibly supportive family. 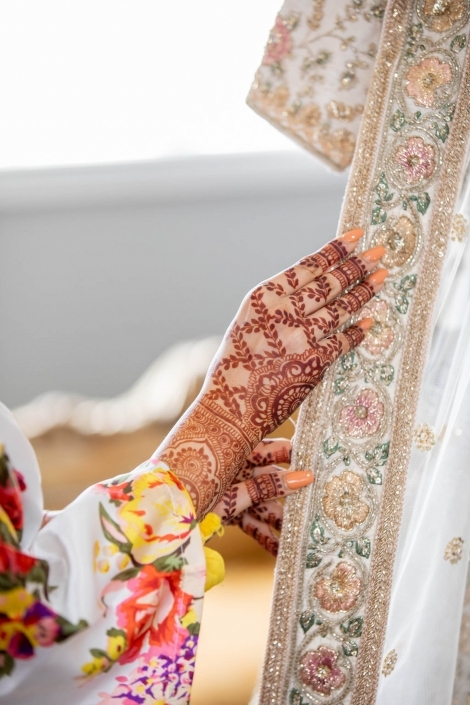 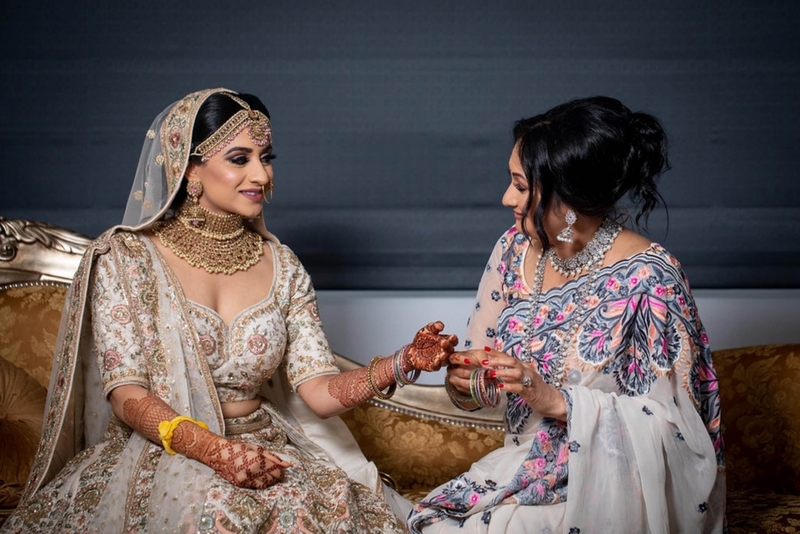 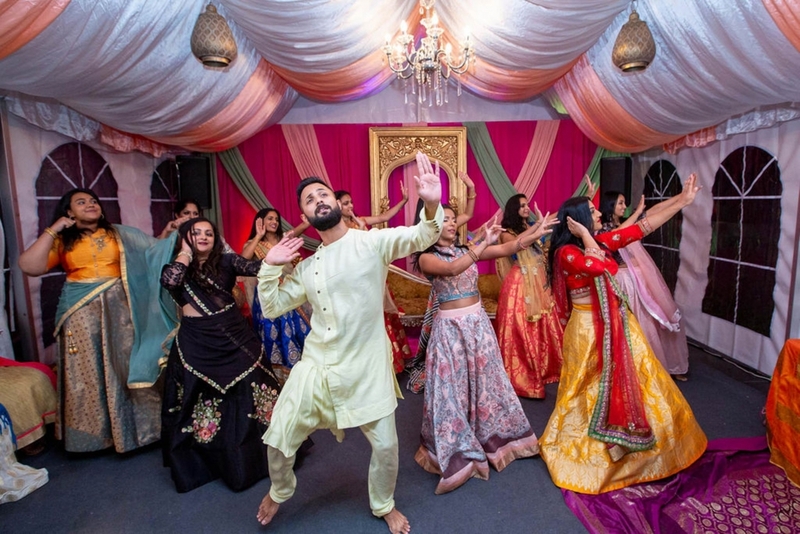 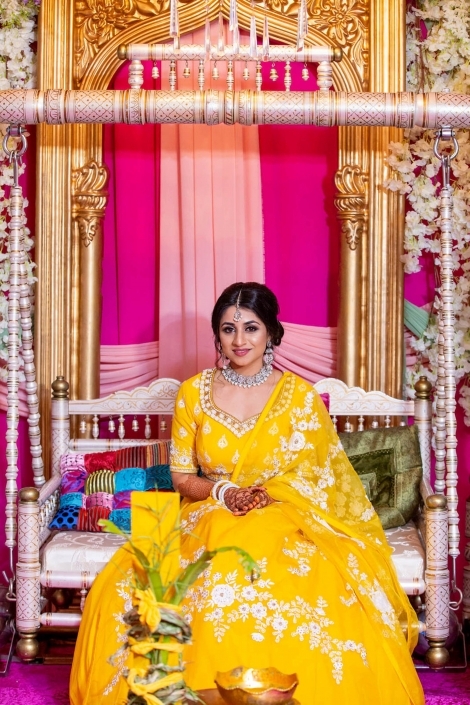 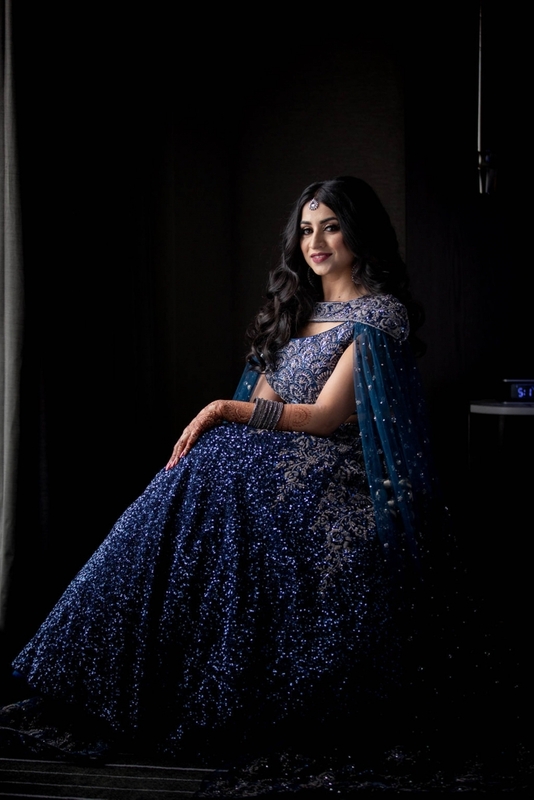 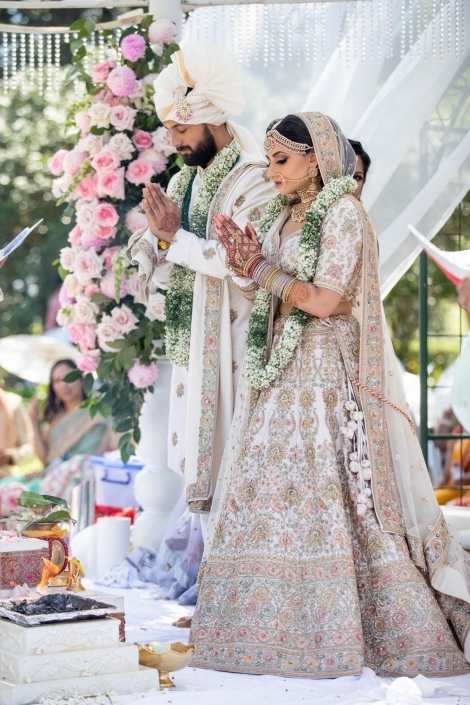 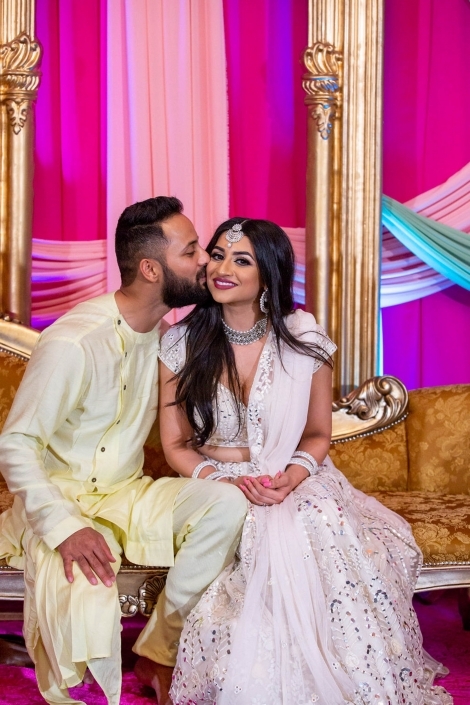 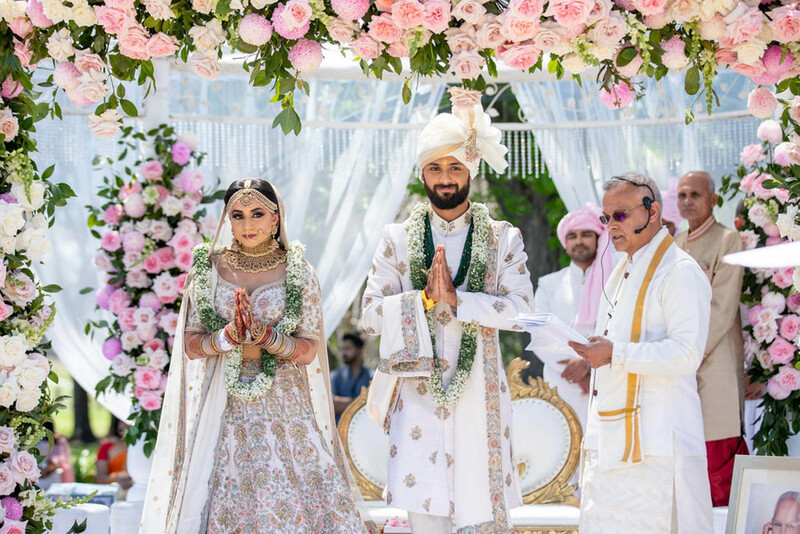 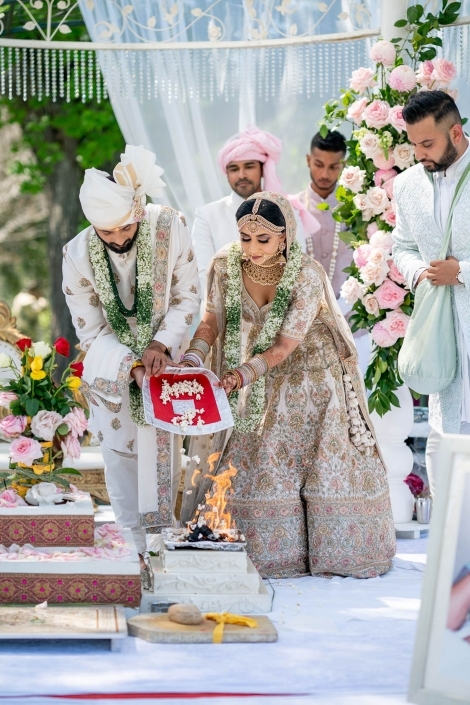 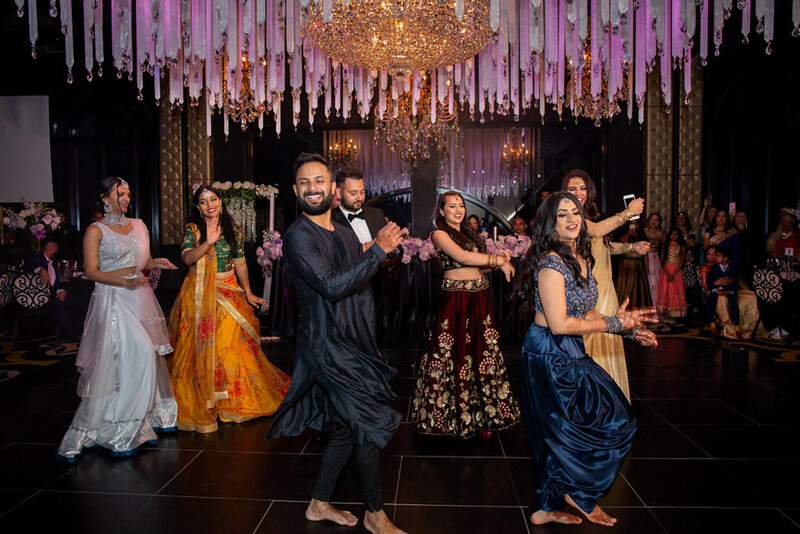 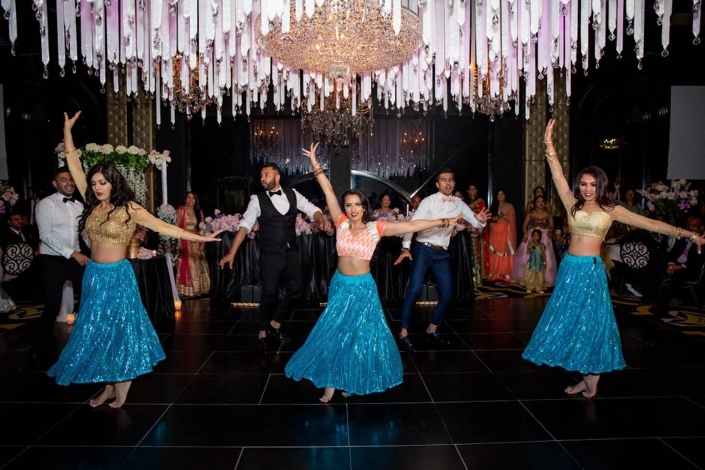 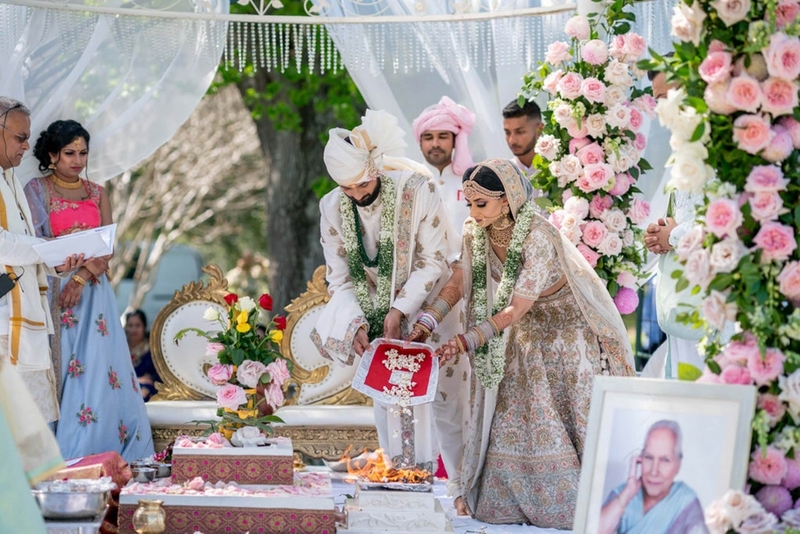 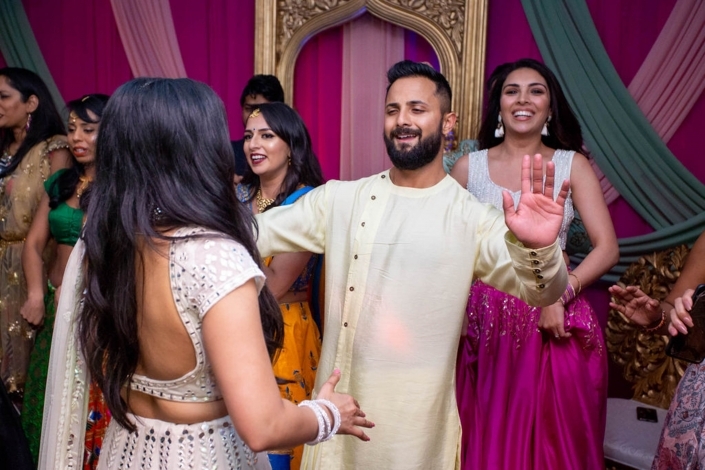 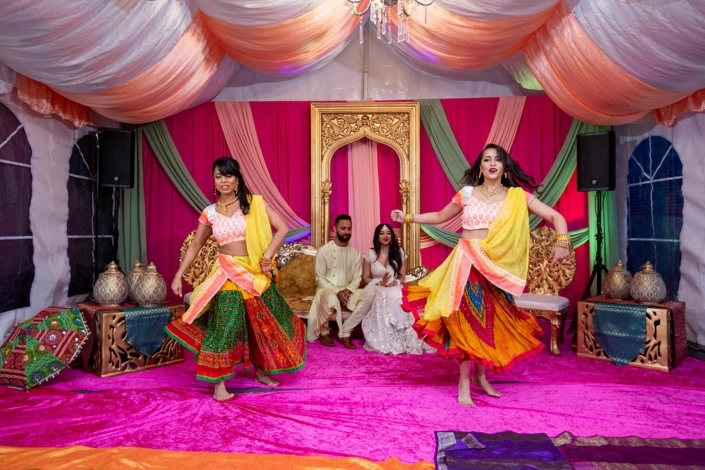 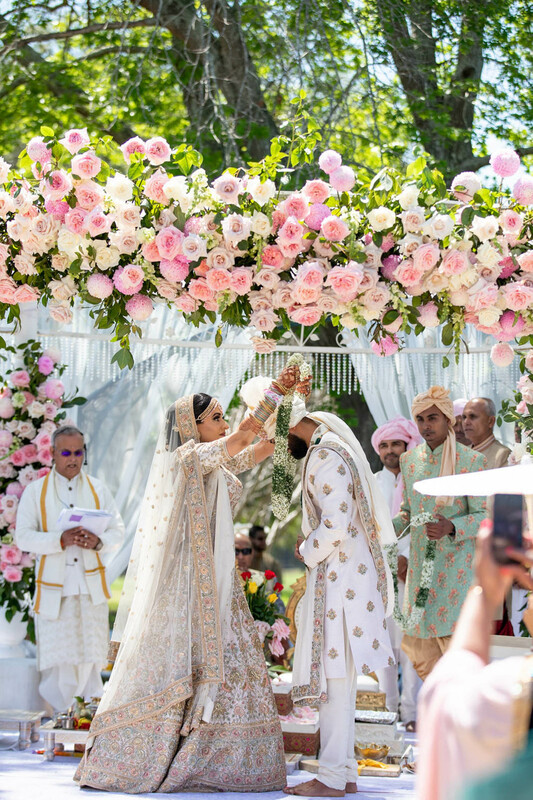 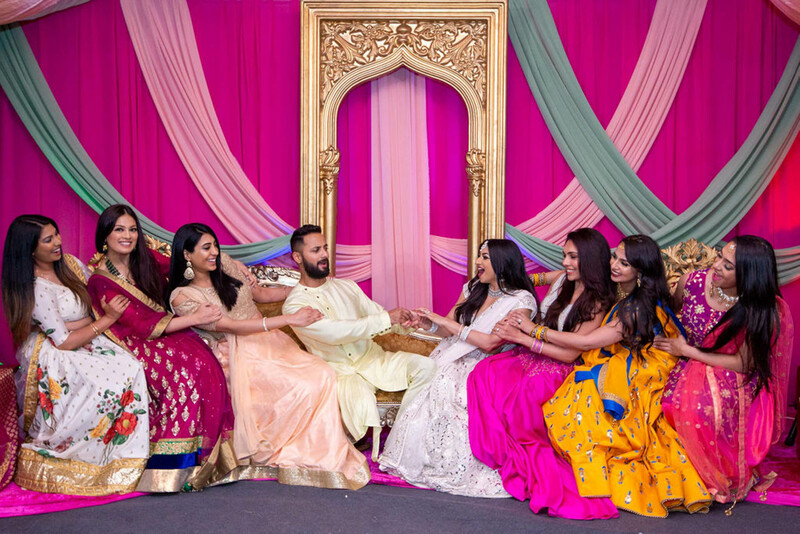 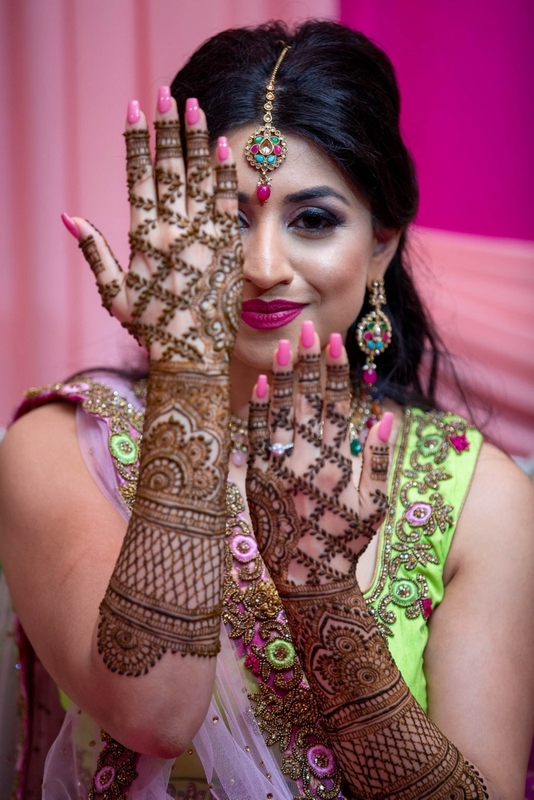 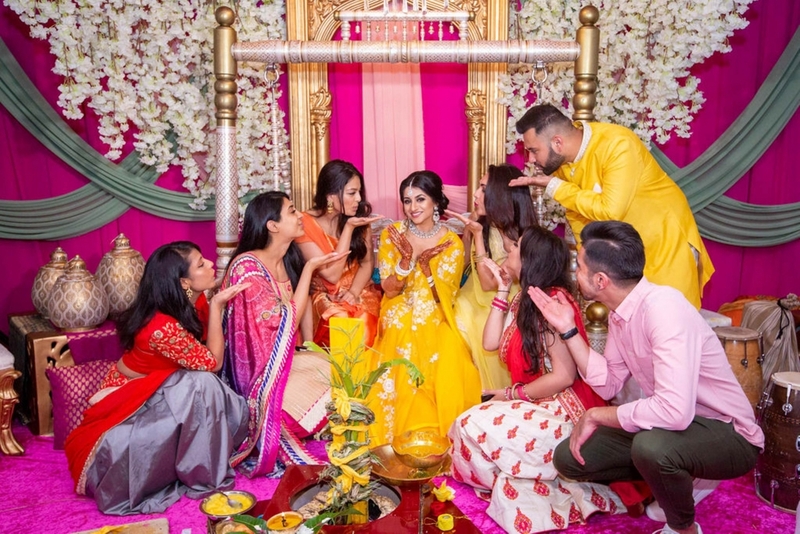 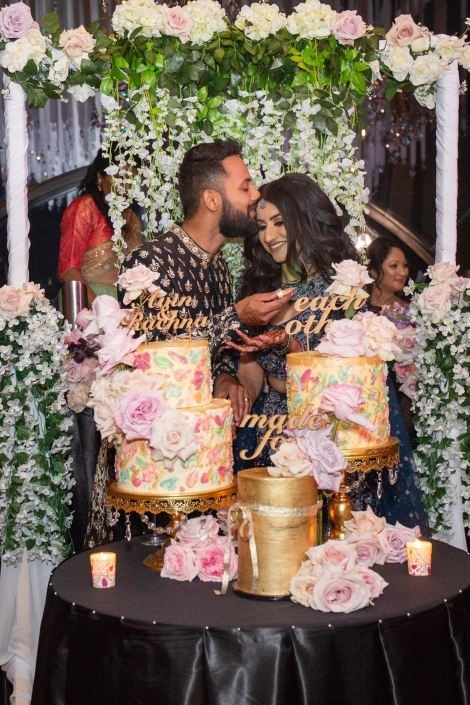 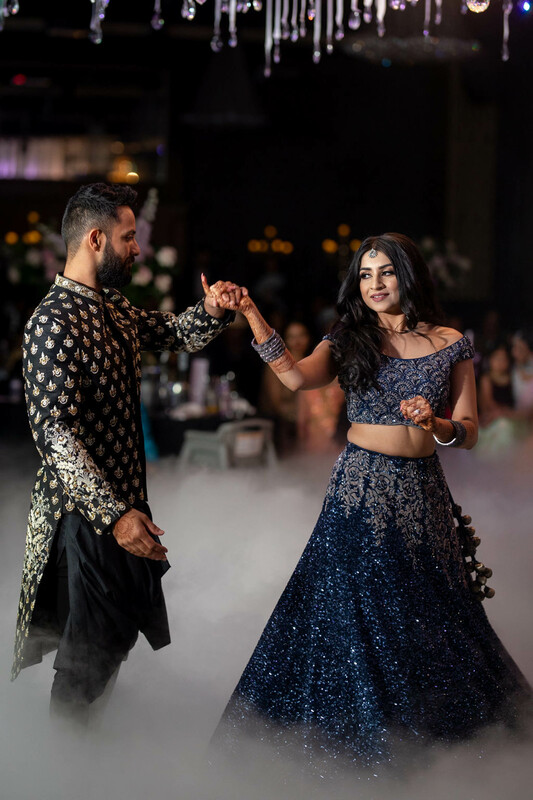 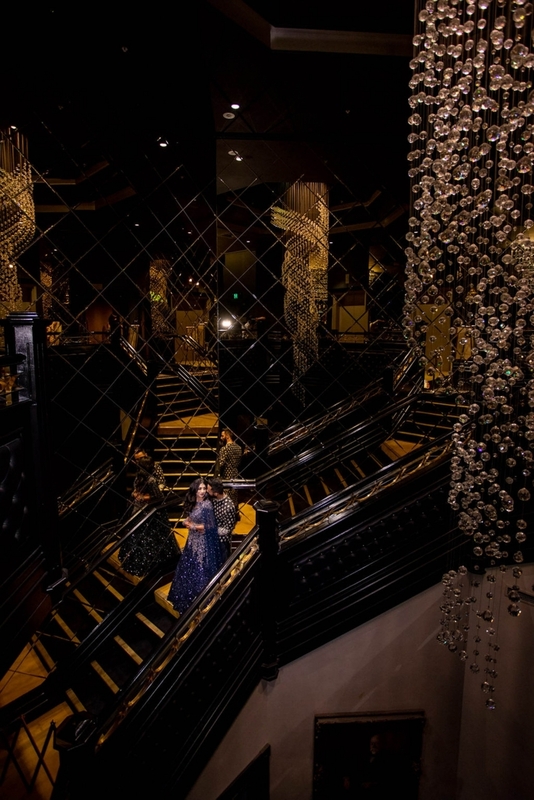 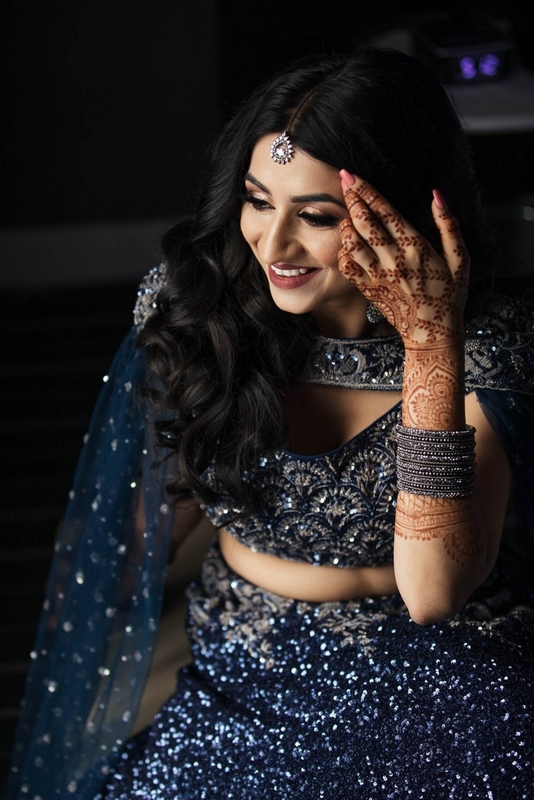 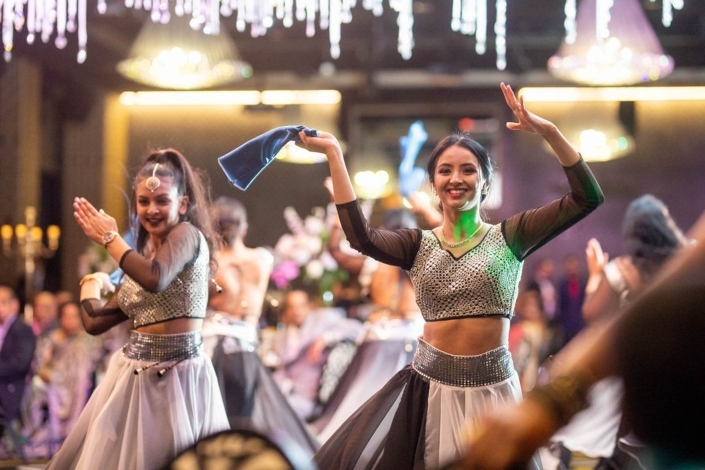 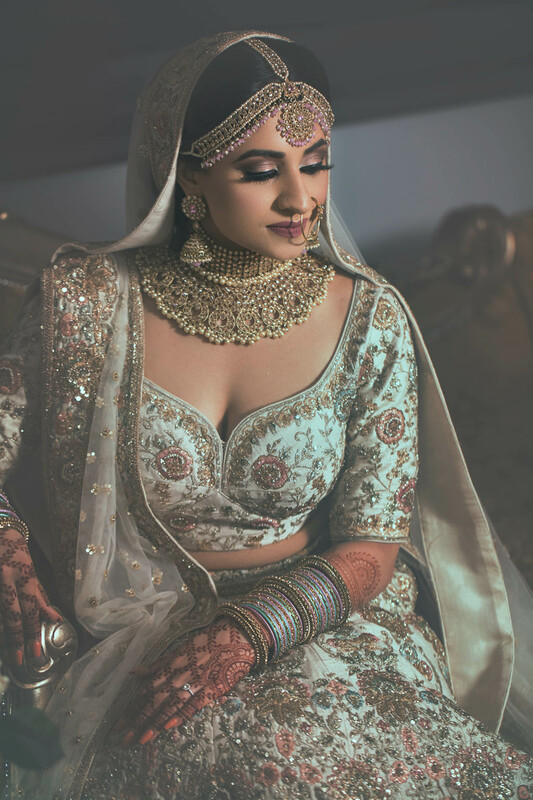 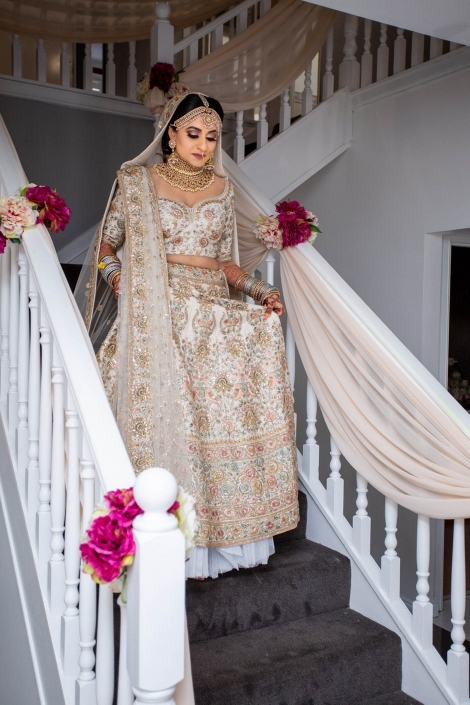 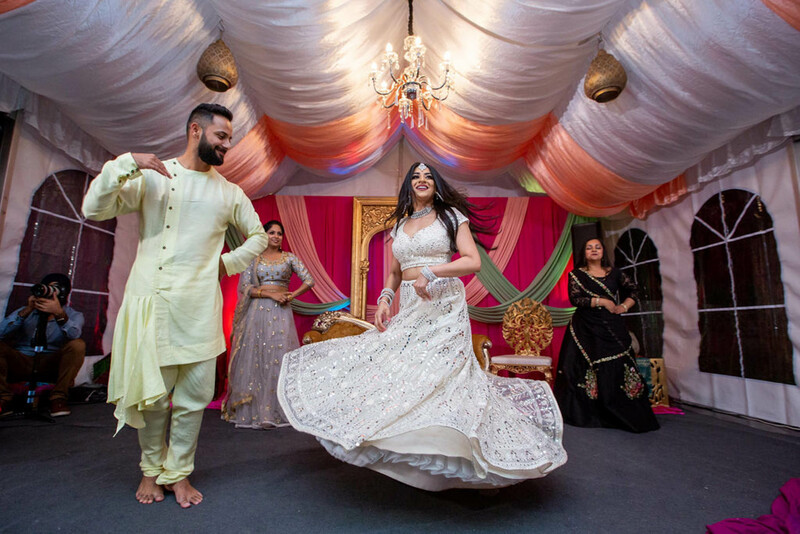 From the colourful mehndi and sangeet parties to the glittering reception on the final evening, this Spring wedding was planned to perfection and Rachna knew what her vision was prior to the wedding. 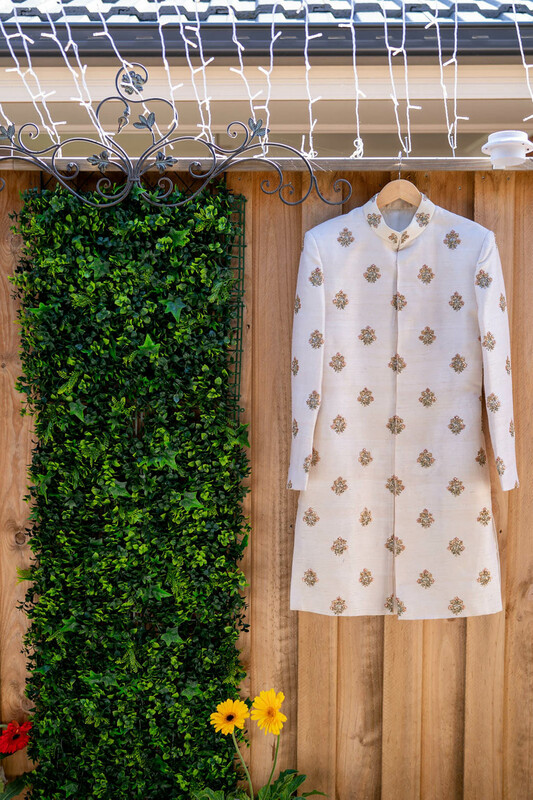 Rachna’s beau, Avin’s look was inspired around hers, with similar style material and design aesthetics to ensure that they complemented each other’s looks. 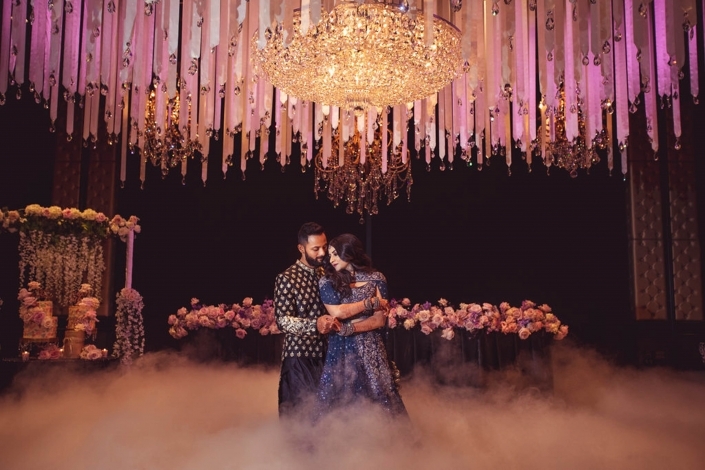 The couple were beautifully matched for their glittering reception party as well. 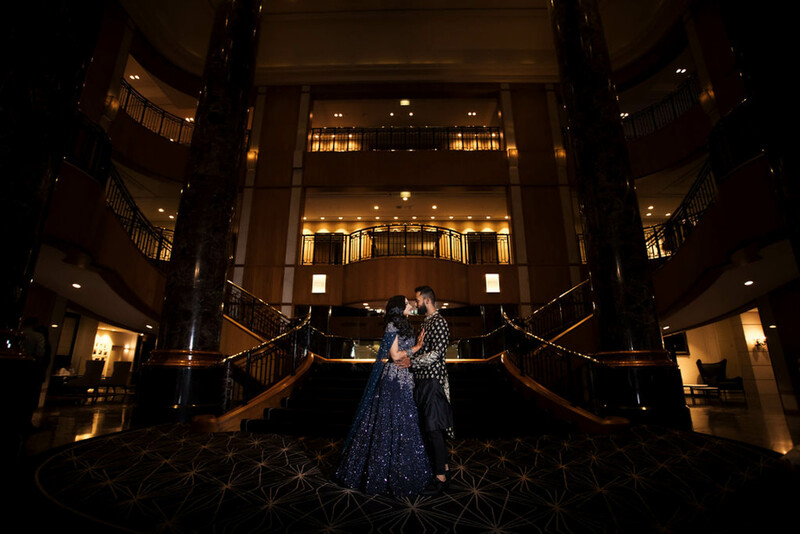 Bride, Rachna opted for a stunning, shimmery midnight blue ensemble whilst hubby looked equally superb in his bespoke sherwani style suit. 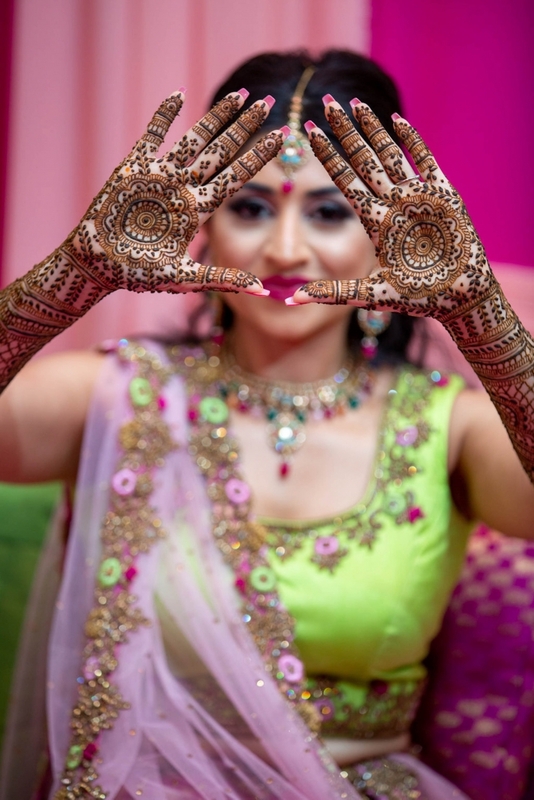 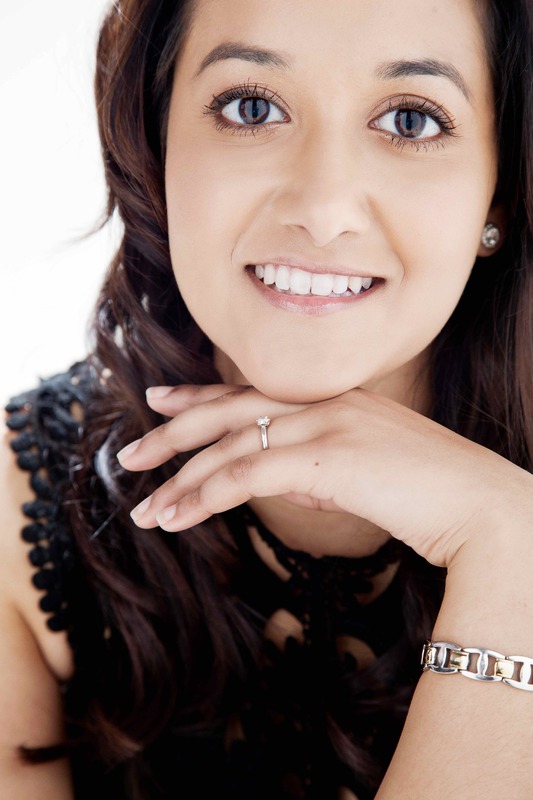 Rachna had a very pleasant experience working with all her wedding suppliers. 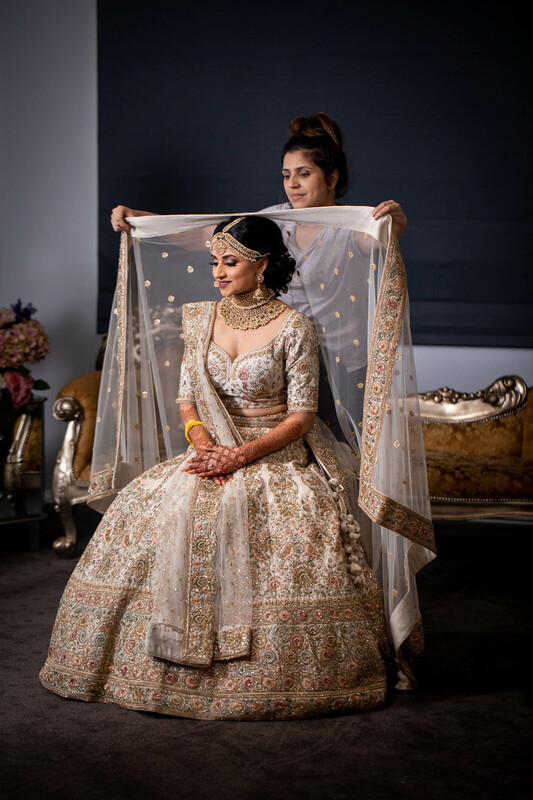 She was particularly grateful to her immensely talented hair and makeup artist, Sana. 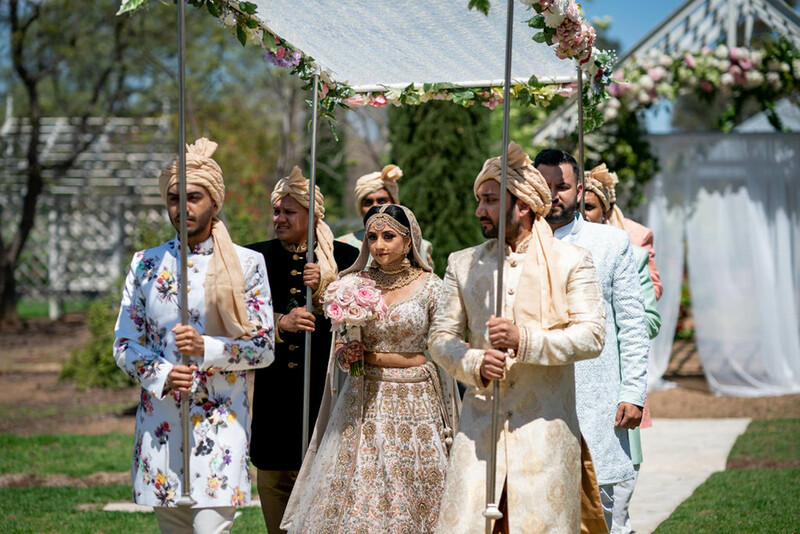 The couple were fortunate to have the perfect weather for all their wedding festivities. 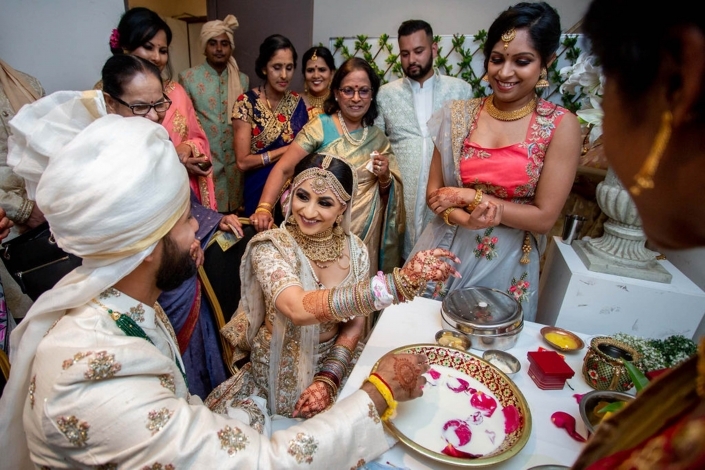 Rachna recalls that it was raining quite heavily right up until the night before the wedding. 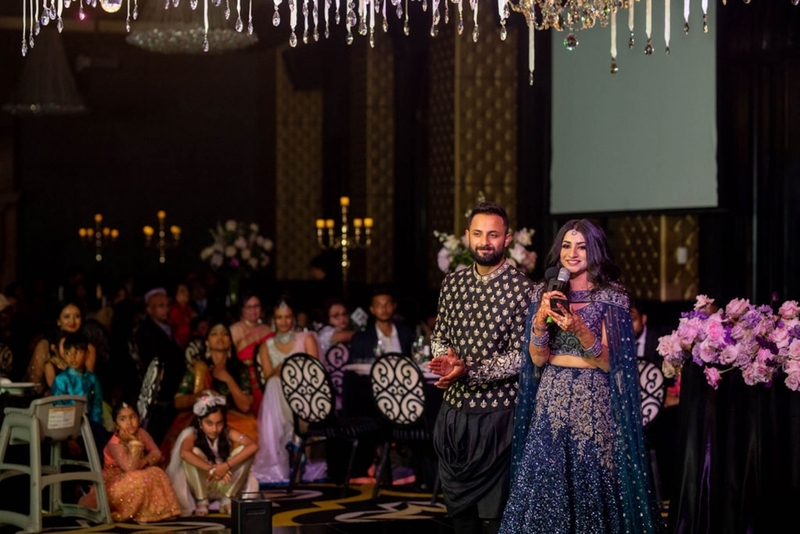 After all the epic celebrations, Rachna and Avin escaped to The Maldives for a relaxing honeymoon. 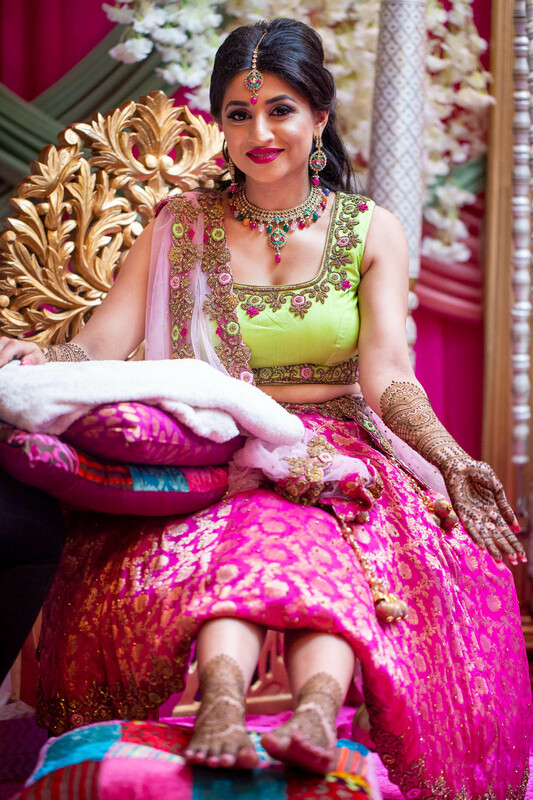 Bride Rachna suggests that you start saving for your wedding as soon as you can. 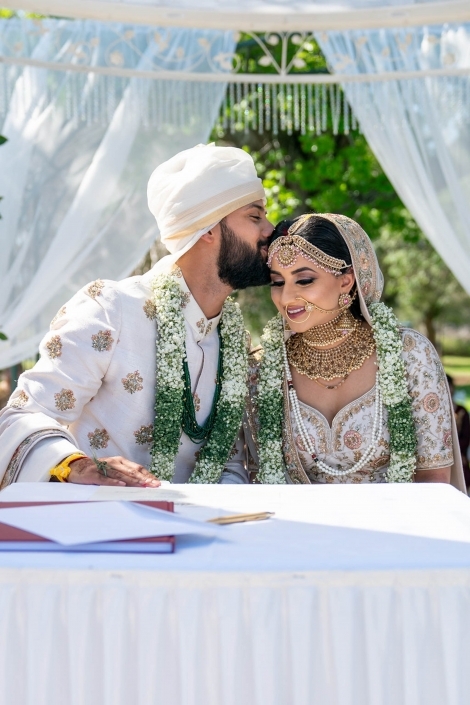 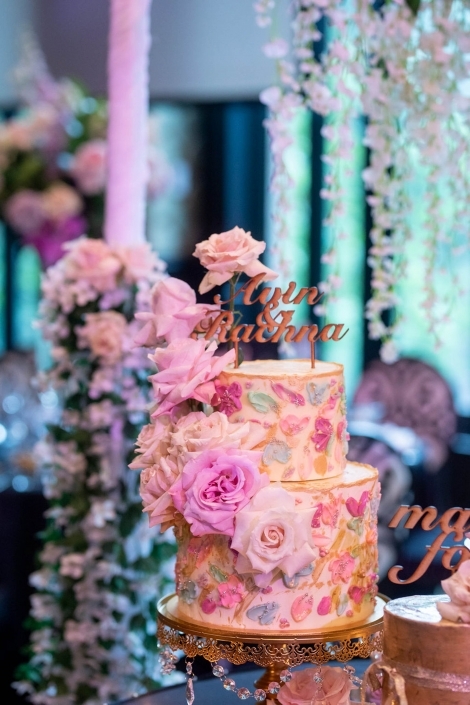 Many thanks to Rachna and Avin for sharing your beautiful wedding details.